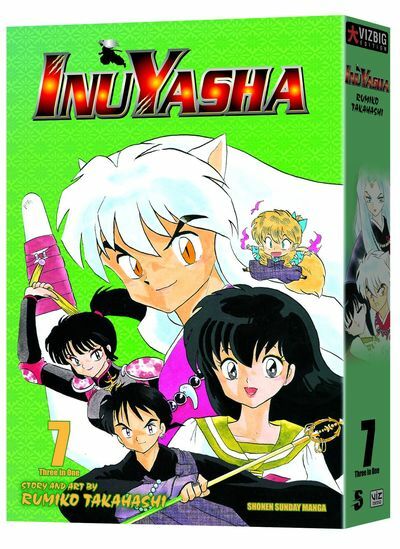 Kagome's friends each face difficult challenges as Naraku intensifies his efforts to gain complete control of the shards of the Shikon Jewel. Kohaku struggles to free himself from Naraku's grip, but doing so means facing up to the terrible deeds of his past. Then, while Inuyasha battles one enemy after another in his search to gain mastery over the heirloom blade Tetsusaiga, Kagome confronts Tsubaki, yet another pawn of Naraku's and one that may poison her soul. And even Naraku's servants scheme against him when Kagura tries to bring Koga into an attempt to free herself from Naraku's control. The coming of the new moon risks exposing Inuyasha's secret-how much has Kagura seen?